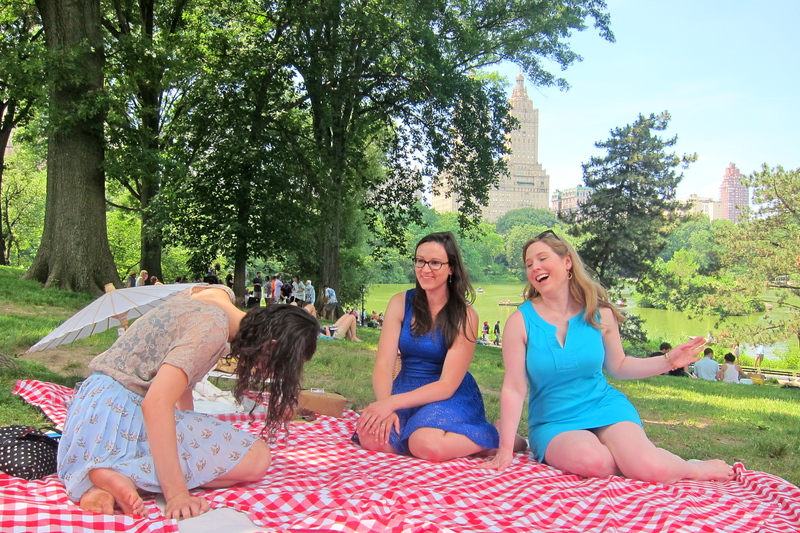 Last year, I was sitting in Central Park on my piece-of-crap blanket, with my Duane Reade snacks, looking over my shoulder at a group of people having a majestic-looking picnic. This was a picnic of Disney-style extravagance: tiered trays of tea sandwiches, picnic baskets chock full of fancy cheeses and wine, checkered blankets and plush pillows – I needed to know what was happening. 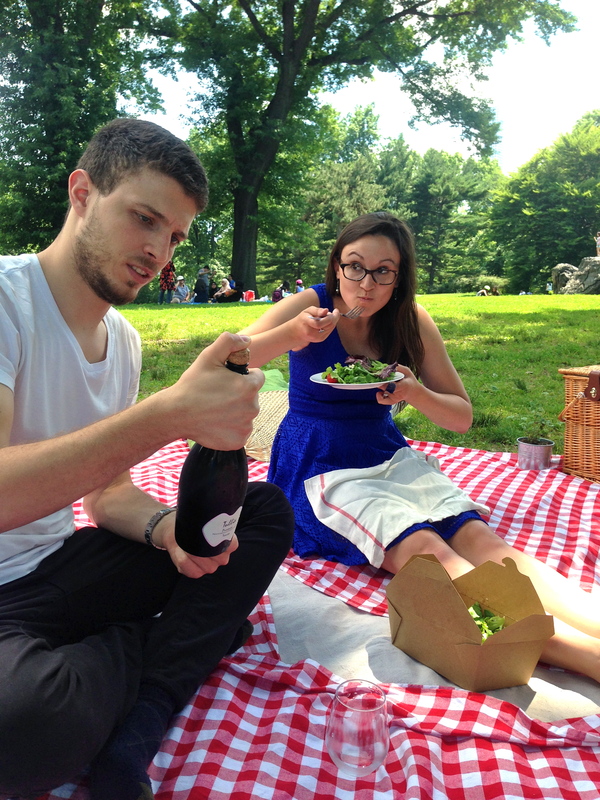 I found out they were experiencing the Perfect Picnic. Perfect Picnic is a small business here in this glorious city, that makes all types of picnics ranging from a $10 grab-n-go bag to an over $1,000 curated picnic. My first thought: Why didn’t I think of that? My second thought: OMG that would be so cute for a girly event such as a bridal shower or birthday party. 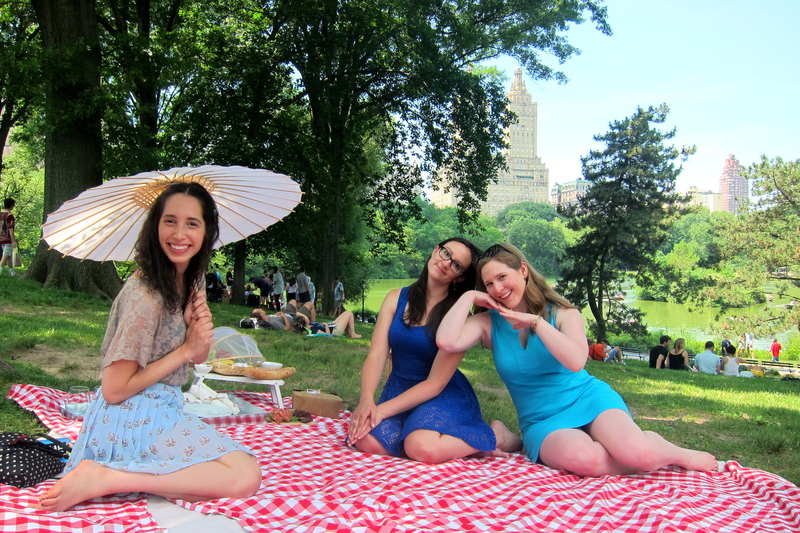 First, we located our picnic – it was already set up for us in the park, right where they said it would be. Then we died a little bit, because it was so cute. Then we located the delicious cheeses, olives, fruits and baguette. We then had a photo shoot that lasted much too long. So not holding it together. We couldn’t stop eating, really, for the entire two hours. Then of course we got too full and had to relax. 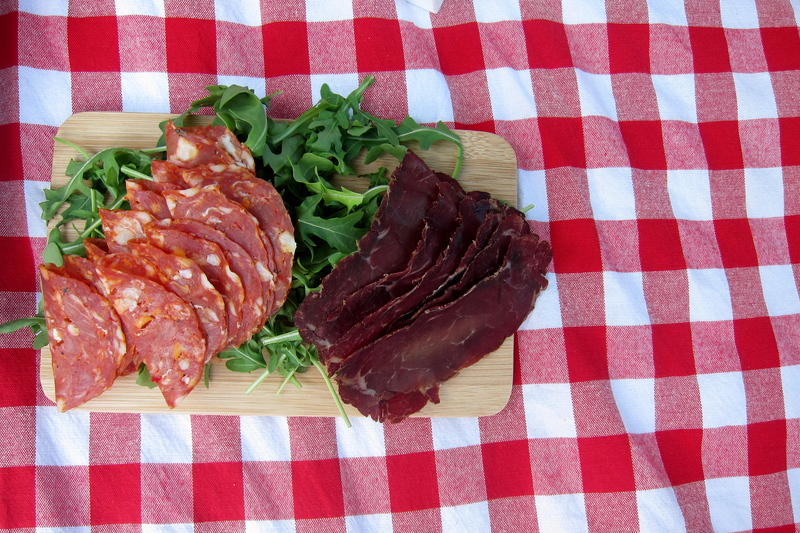 Perfect Picnic also provides more budget-friendly picnics packages. 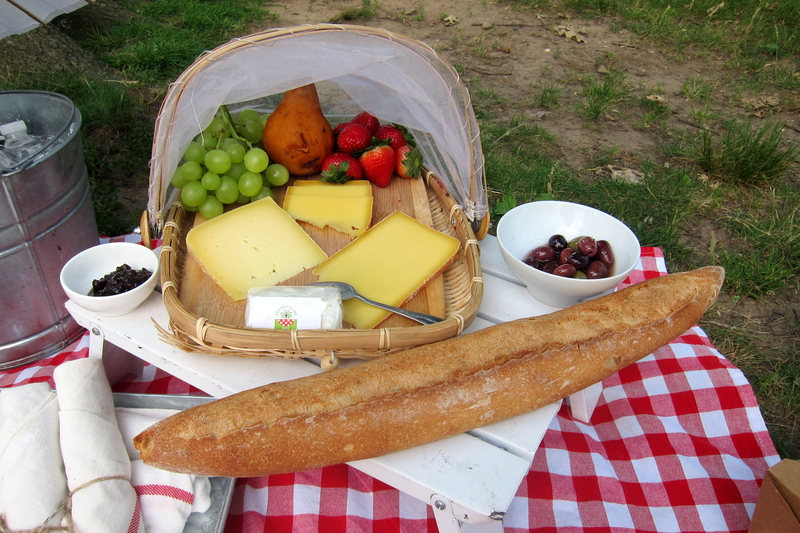 There are brown bag lunches for $10 that you can pick up before you enter the park, or you can try The Classic Picnic, which is $35 and provides enough meats, cheeses, olives, fig jam and beverages for two. They even have gift certificates. It’s always nice to have that picnic set up for you though…and it’s magically cleaned up afterward. 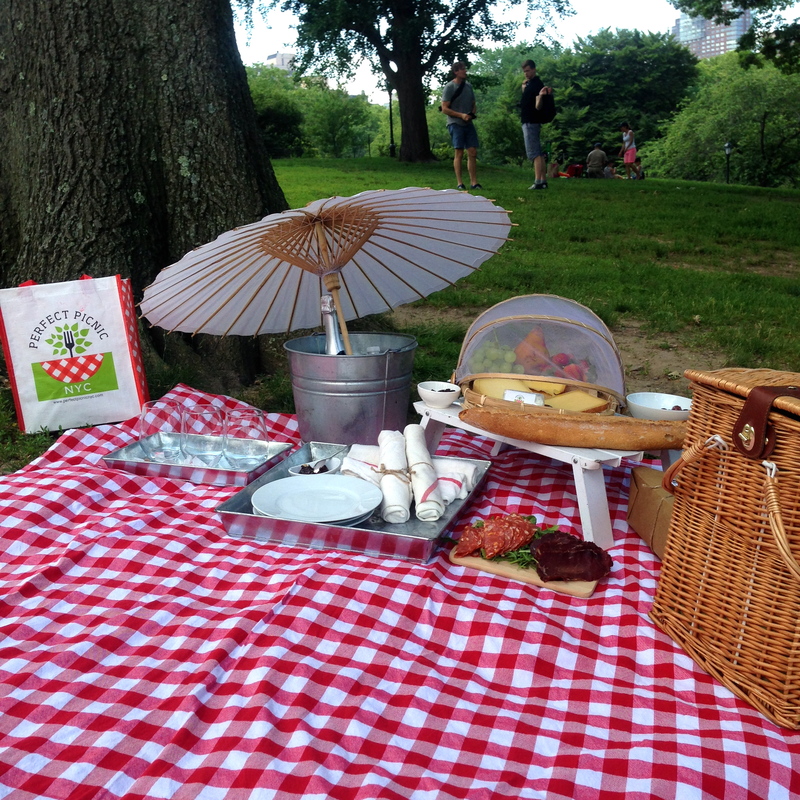 They even have a package called Proposal Picnic with Paparazzi Photography – both creepy AND incredibly cute. Yes, this idea is genius and we all wonder why we didn’t think of it. 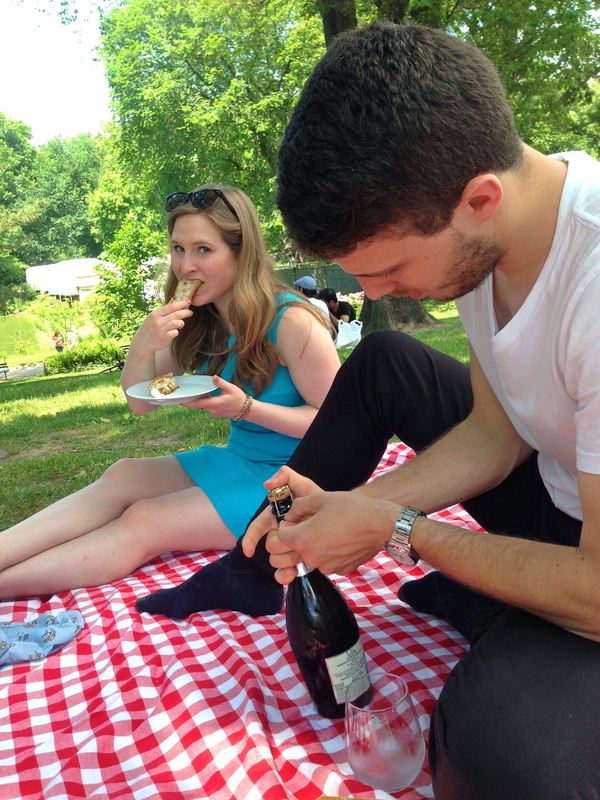 Well, hey, if you can’t beat ‘em, join ‘em over a bottle of champagne on a red and white checkered picnic blanket. What a fantastic idea! 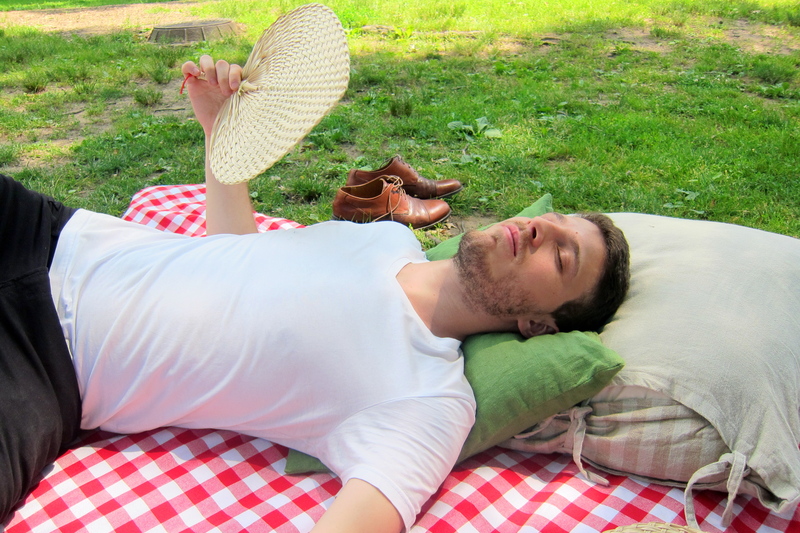 Your pictures are great and it looks like the most elegant picnic! My picnics usually consist of poorly packed fruit and rice cakes or something else not too exciting!!! Thanks for sharing this information with us! Thanks Lia! Twas indeed an elegant time (minus us being idiots). 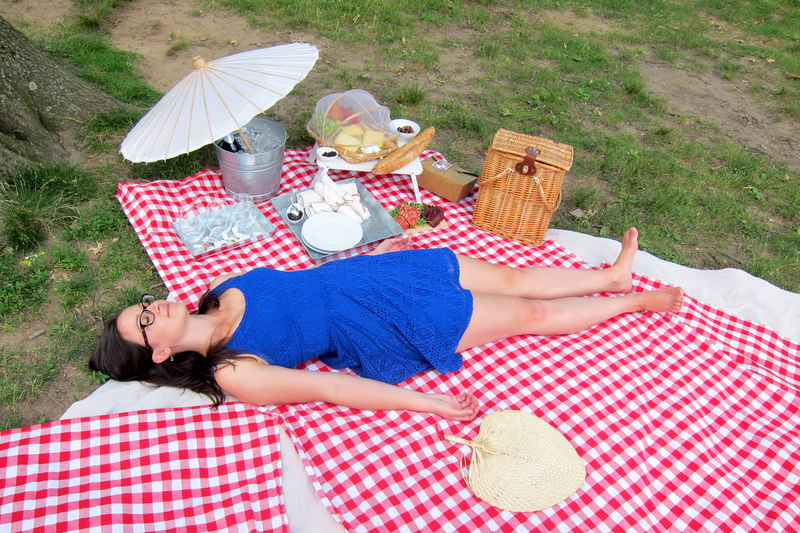 I, too, need to step up my picnic game. 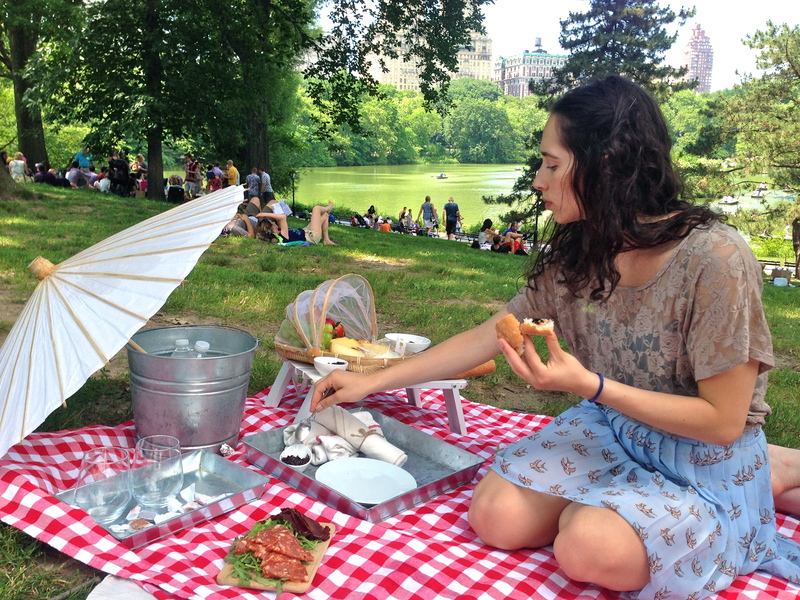 Picnics in NYC are always lots of fun 🙂 I bought a proper picnic basket once but I seem to have misplaced it! So it’s back to Duane Reade bags for me! 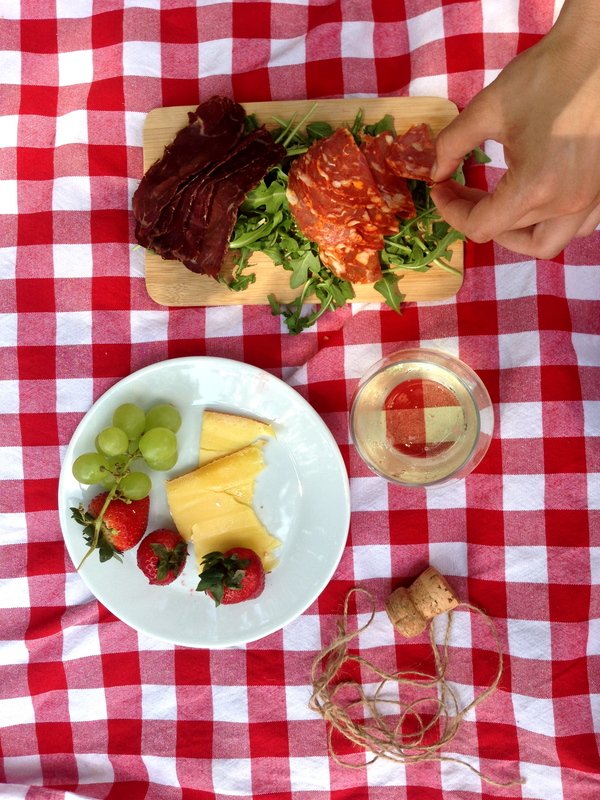 Enjoy and here’s to fancier picnics this summer! How delightful and now you made me really miss my hometown NYC. 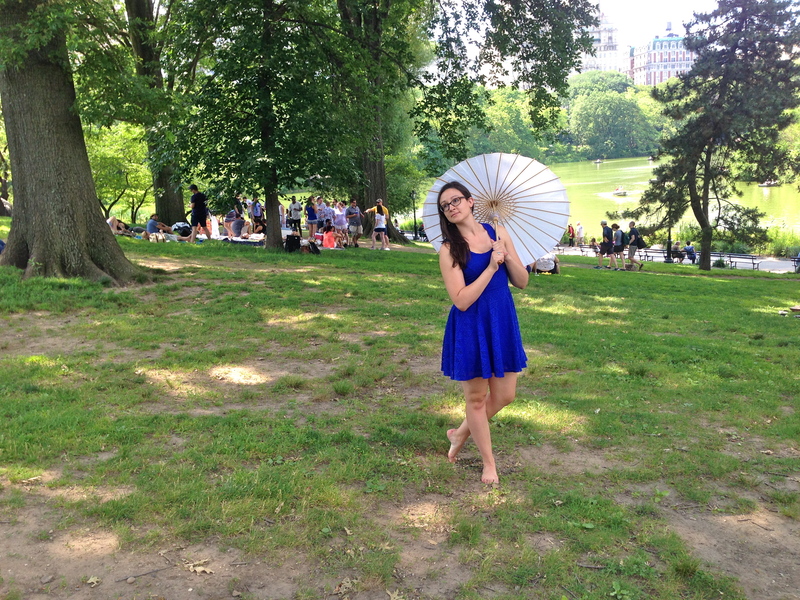 Sigh.. Perhaps if I get lucky I’ll be able to picnic in Central Park next summer. Yes come on over and chill in Central Park!! !